Thanks to the lobbying efforts of the ASPS, Allergan, and plastic surgery portals such as RealSelf.com, women can continue to improve their cosmetic appearance without taxation! For the past few weeks, the proposed 5% tax on cosmetic surgery became known as the Botax. The cosmetic surgery tax would have discriminated against women, since more than 90% of all cosmetic surgery is performed on women. A last minute amendment to the new Obamacare Health Care bill, HR 3590, dropped the 5% cosmetic surgery tax , but included a 10% tax on tanning services. This tan tax was put in as a substitute for the initially proposed 5% tax on cosmetic surgery. 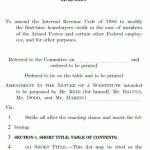 If this bill becomes enacted into law, the tan tax will become effective for tan services rendered after July 1, 2010. Specifically, the tan tax is applicable to tanning booths which use ultraviolet radiation in the frequency of 200 nanometers to 400 nanometers. Exempt from the tan tax is ‘phototherapy services’ . The exclusion of tax on cosmetic surgery is a win for women and we salute our lobbyist for a job well done! While we are happy about our own outcome, we can’t help but wonder if this new tax will stifle the tanning industry. (a) In General- The provisions of, and amendments made by, section 9017 of this Act are hereby deemed null, void, and of no effect. ‘Sec. 5000B. Imposition of tax on indoor tanning services. ‘(a) In General- There is hereby imposed on any indoor tanning service a tax equal to 10 percent of the amount paid for such service (determined without regard to this section), whether paid by insurance or otherwise. ‘(1) IN GENERAL- The term ‘indoor tanning service’ means a service employing any electronic product designed to incorporate 1 or more ultraviolet lamps and intended for the irradiation of an individual by ultraviolet radiation, with wavelengths in air between 200 and 400 nanometers, to induce skin tanning. ‘(2) EXCLUSION OF PHOTOTHERAPY SERVICES- Such term does not include any phototherapy service performed by a licensed medical professional. ‘(1) IN GENERAL- The tax imposed by this section shall be paid by the individual on whom the service is performed. ‘(2) COLLECTION- Every person receiving a payment for services on which a tax is imposed under subsection (a) shall collect the amount of the tax from the individual on whom the service is performed and remit such tax quarterly to the Secretary at such time and in such manner as provided by the Secretary. ‘(3) SECONDARY LIABILITY- Where any tax imposed by subsection (a) is not paid at the time payments for indoor tanning services are made, then to the extent that such tax is not collected, such tax shall be paid by the person who performs the service.’. (d) Effective Date- The amendments made by this section shall apply to services performed on or after July 1, 2010. Unfortunately, government usually tries to hammer ares that are considered “vain”. Years ago they went after breast implants and we learnt our lesson to fight back hard and fast. Hopefully this will help the Tanning industry learn about the dangers of letting the tax meisters fish in their pond. The government is in a big hole and they are looking for money- yours. America will be America as long as people like you put up a fight and refuse to be cowed. Keep up the letter writing. Another thing we have found useful is talking to our patients and getting them riled up so that they write letters too. Your clients most likely are not aware of the tax and it’s a good way to educate them. Thank you, Dr. Rodriguez, for your comments. I fear that the kind of America that I had hoped my children would grow up in is fading very quickly. It will no longer be the land of the enterprising entrepreneur, but of government control and over-taxation. It is our prayer and hope that the tax will be eventually repealed, but the health care reform act plunges forward with all of its tentacles into our country. I have emailed and written over 75 letters to the White House and our Congressional representatives. Most of them have responded that they voted against the health care reform and that the tanning tax is stupid (exact quote from one of our representatives). Thank you again for responding. It was very kind of you. While I feel sorry that you are being taxed, I feel your concern is misplaced. The reason we did not get the tax is that this initiative has been tried before in New Jersey by ex gov. Corzine and it ended up costing the state money. It went up the legislative ladder in several states, including my own, which is heavily democratic, and it lost when legislators discovered what a net money loser it is. I am involved with our state society of plastic surgeons, and believe me, we had very little lobbying money. It was all done by letter writing and showing the facts. We even had the legislator who wrote the statute in New Jersey backtrack on his own law! We did not side step the tax, congress figured it out on its own. They will figure it out for Tanning salons, and until then, you can always try to educate your congressmen about the effects of increasing taxes on small business. As you are beginning to discover, taxes are job killers. I fully sympathize with you. You are preaching to the choir. Perhaps you should invite all those congressmen voting for tax increases to come to your dinner table to see the real effects of their tax increases.By the way, did you know that although America in the past year both salaries and numbers of employed in the private sector have decreased. Your taxes are going to pay for the increased salaries and numbers of workers in the public sector. Is this the kind of change Americans were hoping for? Congratulations to our government for not giving our industry even a moment’s notice (on Christmas Eve) to even lobby against the tanning tax. We are a very responsible, large salon that was also voted the cleanest salon in Indiana by the Indiana State tanning boards. Tanning done in moderation is much safer than tanning outdoors and the vitamin D benefit is wonderful, but you’ll never see that in the beauty magazines. Yes, if you are prone to skin cancer, you should not tan indoors OR outdoors. All of our warning signs and client sheets state so specifically. Congratulations to your industry for side-stepping your tax and paying $300K in lobbying power, but come to my dinner table this evening and explain to my children why there is no food on the table. This is such an informative website about cosmetic surgeries. I added a Nip/Tuck (cosmetic surgery) community on my website, http://www.shareWIK.com (share What I Know) and would love your input! ShareWIK is an online community bringing together people of all areas of expertise so that they can share what they know. Keep up the great work, and we would love to hear from you!